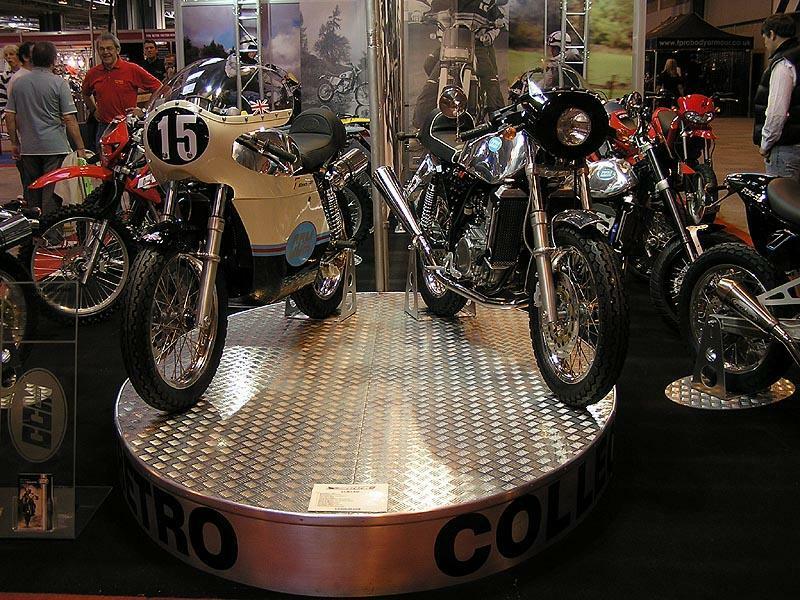 CCM has shown the latest additions to its Retro range of bikes to the public for the first time at the NEC. The two new café racer style bikes are based around the firm’s usual Suzuki 400cc single cylinder engine with the CR-40 coming in a bikini faired road legal form and the CR-40s coming in a fully faired replica of the CCM 1981 TT winner. The CR-40 will cost under £5500 but the CR-40s price depends on the custom paint job you specify for the fairing. Both bikes come with 42bhp as standard but the company offers tuning options that will give you up to 62bhp from a 500cc big bore kit.